Life in South Florida is all you can imagine and more! Close to the Gulf Stream and its ocean breezes, Boca Raton, offers an ideal lifestyle. 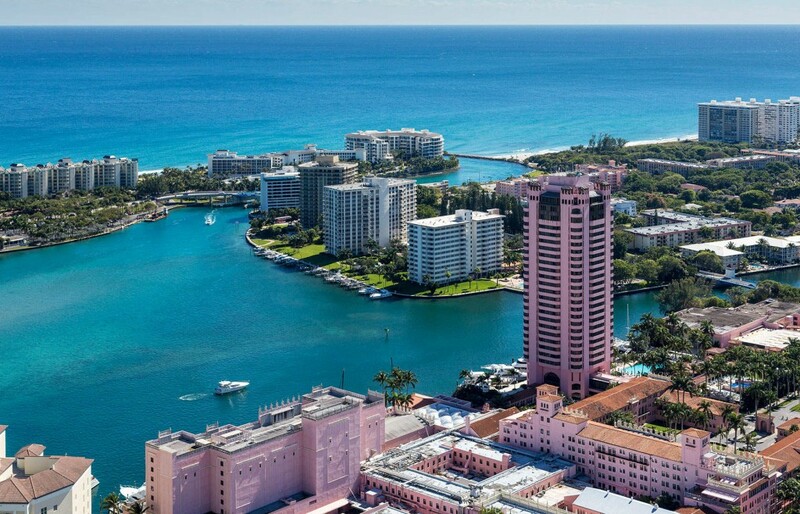 Hugging the shoreline between West Palm Beach to the north and Fort Lauderdale to the south, Boca Raton enjoys all the charm and affluence that Florida has to offer. Its welcoming small town charm and picturesque Mediterranean Revival architecture enchant visitors and residents alike, as 1500 acres of parks and miles of hiking paths promise plenty of pleasant greenery. Swimmers, snorkelers and sun seekers enjoy its four miles of tropical Florida beaches while sports enthusiasts enjoy championship golf courses, country clubs and professional sports teams. There is something for everyone, big or small, and with great weather all year round, there is no reason to look elsewhere for your dream home. Take a closer look at the wonderful communities of Boca Raton and see what enlivens your senses. Whether you are looking to relocate, relax, invest or retire, Boca Raton offers you a multitude of lifestyle choices. From luxury condominiums to oceanfront estates to single family homes to intracoastal villas, the possibilities are endless in Boca Raton.